Way before I ever got into K-Pop music, Korean Beauty and Korean Drama, I was already aware of the division and tension between North and South Korea. It was discussed in school sometimes and it all began during World War II. Even if its been that long already, things haven't changed and it actually made me sad that even if they're a country, they are considered separate. Imagine the families that have to apart and having limited freedom to decide on things, especially their human rights. I haven't been to South Korea yet, but I heard that the image above is called the DMZ a.k.a. 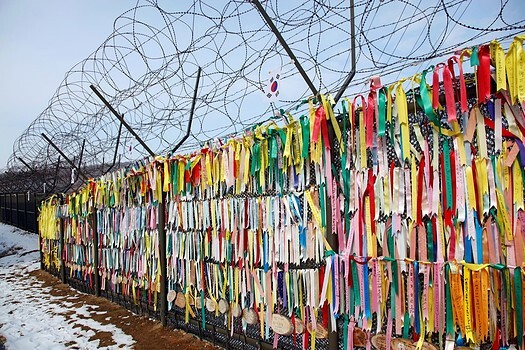 Demilitarized Zone at South Korea and the ribbons attached on the barbed fences are prayers for a unified Korea. ♥ :'( I, too, pray for the same thing. In 2015, more than 30 K-Pop artists supported the One K concert at Seoul World Cup Stadium. 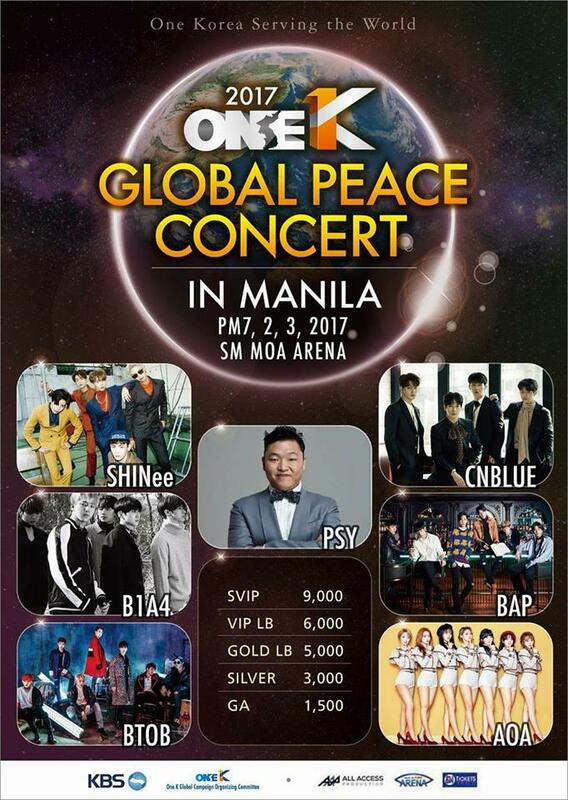 The concert featured the unification song, "One Dream, One Korea," which earned more than 13 million new YouTube impressions form over 200 countries. This 2017, I think we are fortunate to be the first country to host a series of global tours for this campaign. Imagine, we are chosen for this concert tour to promote a wonderful cause. :) The next global tour will happen next in the US, India, Japan and 10 other countries. There are more than 10 million individuals separated from their families, and the suffering of more than 25 million Koreans under a repressive regime.